And I am using it form the command line. 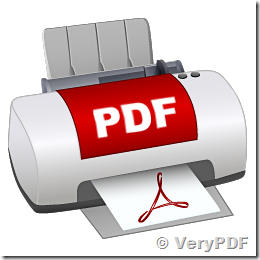 For some reasons I am trying to convert PDF to PDF. But some PDFs are not well converted to PDFs. Only the first page is processed. In the case of Other PDFs, which have more than 1 pages, all pages are processed. So this is not the limitation of the trial, right? I want to send sample PDFs later. I attached the sample. I am using the trial. Only the first page is processed in the case of PDFs I attached. Thanks for your message, yes, docPrint Converter is not support all type of PDF files, it is only support the PDF files which created by itself. For example, if your PDF file is contain Japanese Characters, these Japanese Characters are refer to Windows System Fonts, docPrint Pro may fail to convert this PDF file to a new PDF file because font missing in some Windows systems. We hoping above command lines will work better for you, please to try. For some PDFs "-useembedfont" parameter works and for other PDFs "-winfont -winfont2" works while the rest of PDF files did not work with either parameter. And rather as I explained to you in the first email, I would like to use docPrint Converter instead of pdf2vec.exe. Is there any parameter of docPrinter as well when I got an error for certain PDFs whose first page only is partially processed? And how can I view error log files for docPrinter? At lease, I would like to know whether the process succeeds or not before opening the output PDF in reality. docPrint Pro product doesn't throw an error for the failed conversion. 3. If output PDF file is exist, please read the page count from the PDF file, if page count in output PDF file is same as source PDF file, it is indicate conversion success, otherwise, it is indicate conversion fail. I am looking for an application/driver that will create a PDF or postscript file and then possibly merge the files in to one PDF or one Post script file. How to convert files of AutoCAD to cin? How to use docPrint to add a rectangle with dotted border in preview application? This entry was posted in docPrint Pro and tagged docPrint, pdf to pdf. Bookmark the permalink.